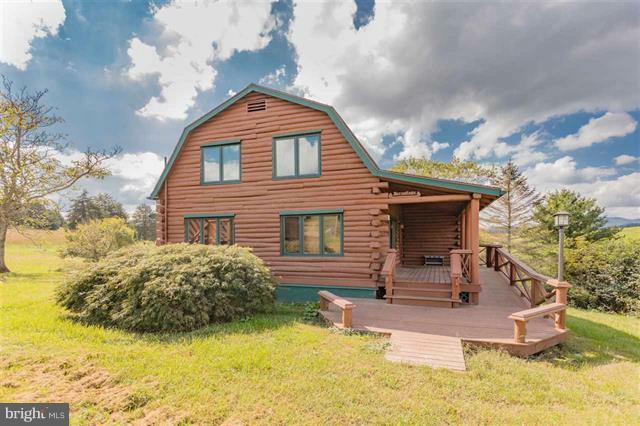 All Rockbridge Baths homes currently listed for sale in Rockbridge Baths as of 04/24/2019 are shown below. You can change the search criteria at any time by pressing the 'Change Search' button below. If you have any questions or you would like more information about any Rockbridge Baths homes for sale or other Rockbridge Baths real estate, please contact us and one of our knowledgeable Rockbridge Baths REALTORS® would be pleased to assist you. "Charming Log Cabin on a private 74 acre farm. Enjoy the bubbling of the nearby creek while sitting on either of the homes covered porches. See thecozy comfort of the open concept cabin with an excellent layout and amazing entertaining spaces. The rolling land has many wonderful views and ample opportunity to spot dear, fox, and other wildlife. Come to the farm, see the beauty, and feel right at home!"